A couple of classic prints from Barry Smith that I stumbled across, featuring his incredible line work. Bran Mak Morn print/poster from 1975. One of Robert E Howard's many creations, he was in a classic Savage Sword of Conan two parter. My recollection was that Smith began the story with a few pencilled pages and Conrad finished it? Belit from Howard's Queen of the Black Coast story featuring Conan. 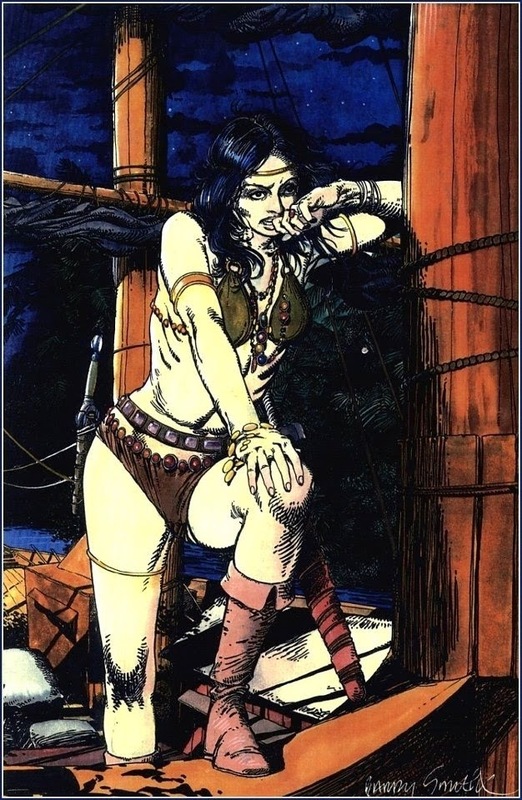 When we saw Belit in the color Conan comic she was drawn by John Buscema, wearing what looked like a fur bikini! 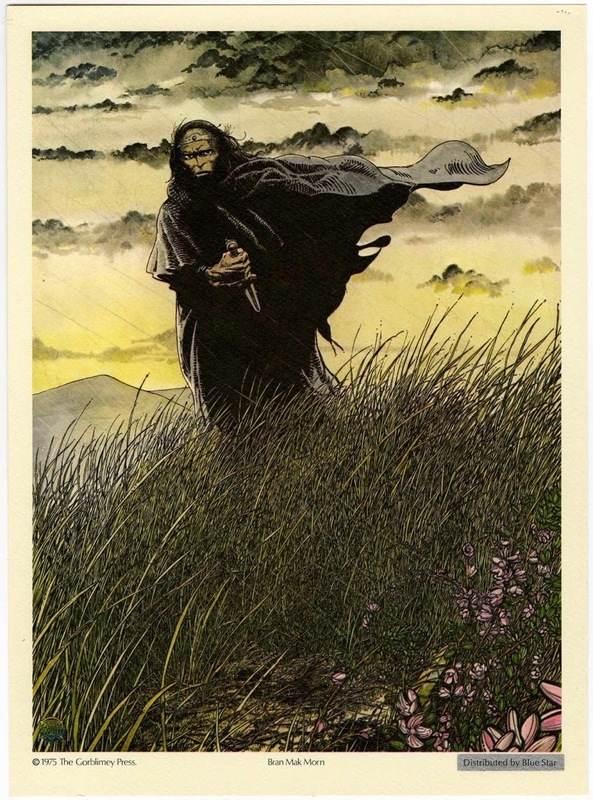 I always wondered how Barry Smith would have depicted this character - and you can see how from this print. She is still not wearing much but does look more like a pirate. I am mostly on Tumblr these days, but still will come back here occasionally, please follow me there! Nuff Said.